A self-study e-course that helps you organize your business and life in one place. Learn how to customize your ConvertKit email templates with this easy-to-follow video course. 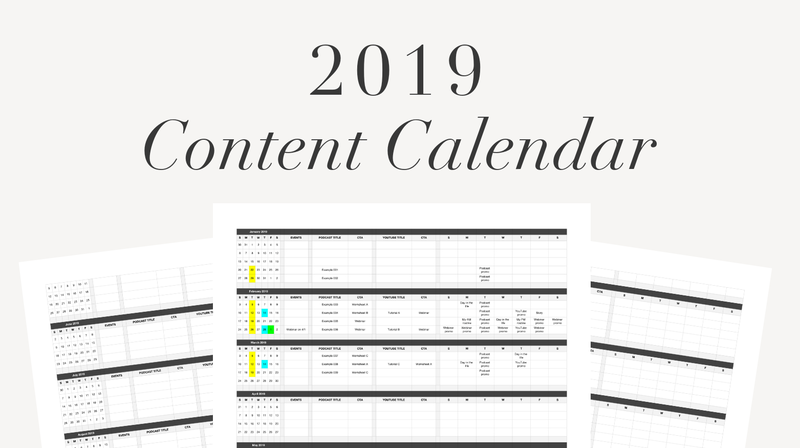 Create and plan your 2019 content calendar (including social media posts!) 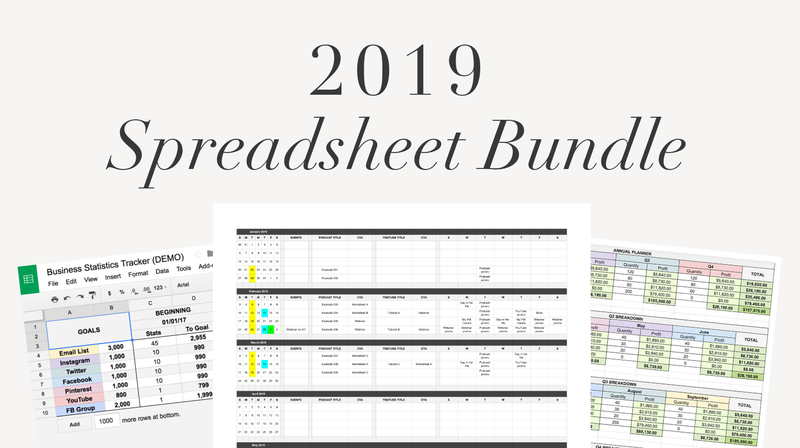 in one place using this 2019 Content Calendar spreadsheet. A comprehensive set of spreadsheets to help you plan your revenue goals, content, and launch schedule. Log, track, and analyze your growth business at a glance. 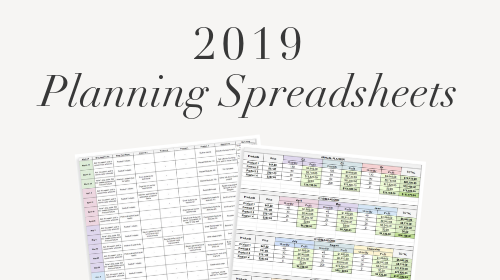 Grab all 3 of my planning spreadsheets at a discounted price!